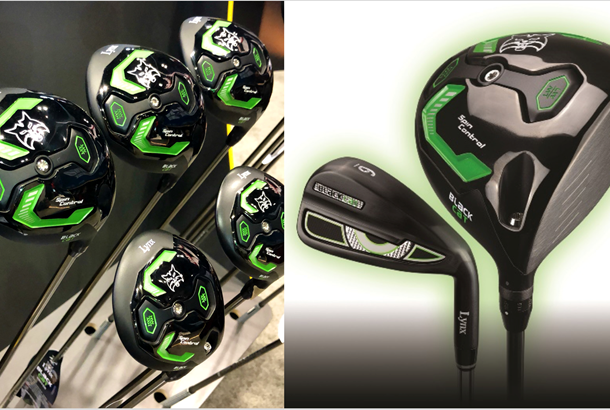 In addition to the launch of their revolutionary Lynx Prowler VT driver, Lynx have also updated the Black Cat family of golf clubs for 2019. The irons boast a forged steel face, hollow body and progressive face thickness for enhanced feel and forgiveness, while the new Black Cat driver and fairway wood both feature Lynx's Spin Control System to help player's get the most out of their golf clubs. A Black Cat hybrid completes the set-up. Designed primarily with the dedicated golfer in mind, the new 2019 Lynx® Black Cat Irons are packed with Lynx's proprietary technology advancements, all of which are designed in the UK from its Surrey headquarters. A carefully crafted 2-piece head includes a beautiful, forged steel face, hollow body with polymer filling for enhanced feel and progressive face thickness for forgiveness. This winning combination produces superb feel, distance and control and offers playability for the better golfer. The new Lynx® Black Cat irons are available in a choice of high polished steel or black PVD finishes and with KBS Tour 90 steel shafts in Reg/Stiff flexes (RRP £499); or UST Mamiya Recoil graphite shafts in Lite/Reg/Stiff flexes (RRP £549). A full custom fitting service and optional 3- and 4-irons are also available. Alongside its brand-new irons, Lynx® has updated its entire Lynx® Black Cat Woods family. The 2019 Lynx® Black Cat Driver in a new matt black and green colour scheme is packed with game-enhancing tech, including the Spin Control System – a removable and reversible weight bar which repositions weight either further forward, or further back, in the clubhead. Clearly marked with HW/LW options, positioning the High Weight (HW) setting closer to the clubface moves the weight forwards, reducing spin and keeping the flight lower, with a more penetrating flight and control. Positioning the Low Weight (LW) setting closer to the clubface moves more weight to the rear of club, increasing spin for a higher launch. This 460cc two-piece titanium driver features a cup-face design with face hardening treatment applied to help generate faster ball speeds and reduced spin, while full adjustability from 8.5-12.5 degrees is on offer and includes face-open and face-closed settings for those players looking to eliminate slicing or hooking. Lynx’s Effective Energy Transfer (EET) technology sits behind the clubface and delivers an enormous sweet spot, minimising the effects of ‘gearing’ caused by off-centre hits. The Lynx® Black Cat Fairway Wood also benefits from the Spin Control System and offers golfers outstanding performance alongside full loft adjustability from 13 to 17 degrees. While Lynx® Black Cat Hybrids are available in 3(20°) and 4 (23°) options to complete the family. Stock shafts across the Lynx® Black Cat woods family are UST® Mamiya Recoil in Lite/Reg/Stiff options, with full custom fitting also available. Around the world it continues to gain a strong foothold in ‘green grass’ golf accounts – retail operations typically run at golf courses by PGA Professionals.